We will review how to enable clean URLs on your Concrete5 website. It is a good way of improving the SEO on your website and allow users to find pages from your website easily in the major search engines. It will also make the links on your website human-readable, which is easier to remember. The first step is to enable the Clean URLs via the administrative area of your website. Log in as administrator and then click on the Dashboard button at the top-right corner. 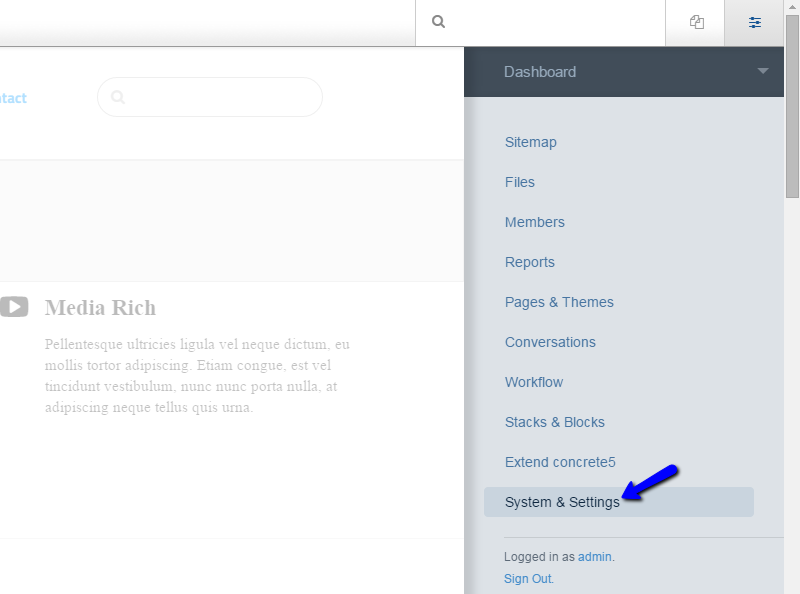 Select the System & Settings option from the available list. Locate the SEO & Statistics section and click on the Pretty URLs button. Select the Enable Pretty URLs check-box and then click on the Save button below the keep the changes. When you enable the Pretty URLs from the admin area of your website, you will be presented with a code that you must add to the .htaccess file of your installation. 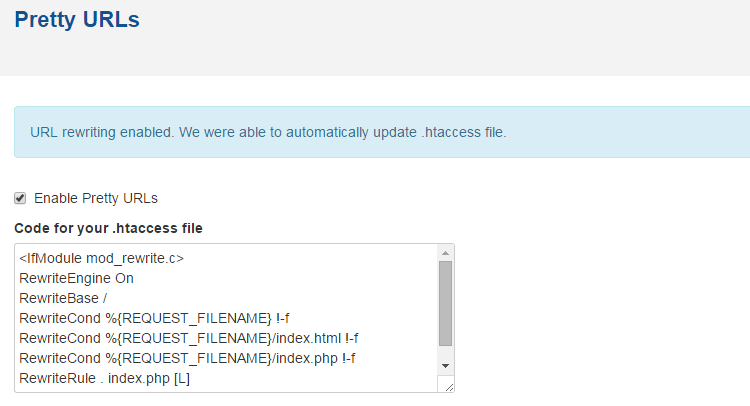 To edit the .htaccess file, you need to access your cPanel account first. Locate the Files tab and click on the File Manager service. In the pop-up window, you need to select the Home Directory option and also enable the Show Hidden Files (dotfiles) and then click on the Go button to proceed. Then you need to navigate to the location of your Concrete5 installation. In there, you will find an .htaccess file (create it if there is no such a file). Select it and then click on the Edit button from the top-menu. Paste the code that you have been given via the administrative area of your website and click on the Save Changes button.